Unisex sports shorts (for men and women). Cut and sewn with a contrasting inlaid on the sides. Piping inserted in the inlaids. Elasticated waistband with draw strings. Normal fit. Suitable for any sport. Breathable. 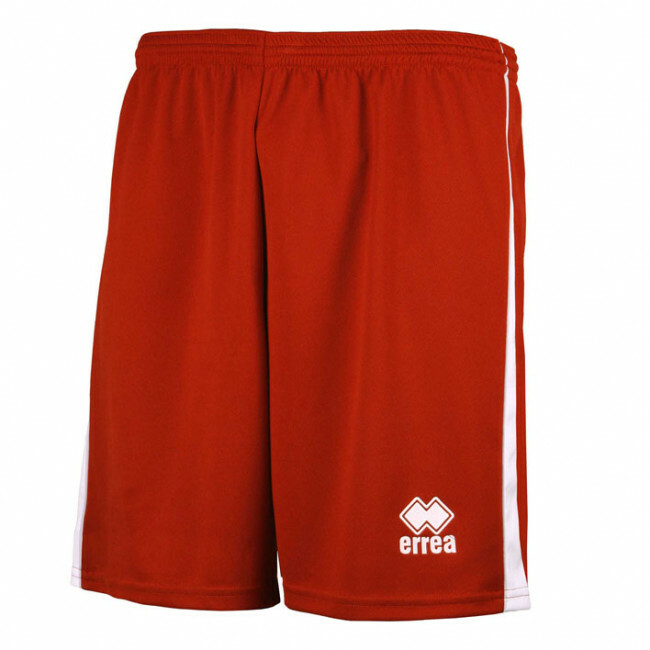 The Galaxy sports shorts by Erreà are unisex, and therefore suitable for both men and women. Their dynamic and athletic design, emphasized by the coloured inlaids, make them suitable for any sports activity, for both training and competitions. These shorts provide optimal fit and wearability and are adjustable thanks to the elasticated waistband with draw strings. They are made of a breathable fabric, that wicks sweat away and provides the greatest comfort.